I feel like I’ve been waiting forever for this week to come, but it’s finally here, and we couldn’t be more excited. It’s one again time to revisit the action of the Marvel Cinematic Universe, as audiences get ready for Captain America: Civil War. It’s been rather obvious since the first trailer hit that Captain America: Civil War was going to fire on all cylinders. After starting the series in very comic book-y fashion, diving down into Cap’s origin story with the 1940s feel of nostalgic bravado mixed with the supernatural, the franchise has taken a decided turn. This isn’t to say the first in the series wasn’t good, but rather Winter Soldier (89%) is so different as to almost be a totally different franchise altogether. They took a more serious and darker tone to Cap’s assimilation to the modern world, and knocked it out of the park. That’s not easy for a character with broad, not well-defined powers, and a somewhat holier-than-thou attitude. But it works, and the trilogy capper looks like it could be the best Cap story yet. Cinema Blend’s own Eric Eisenberg covered the major beats in his review and I encourage you to read it if you were at all on the fence about seeing Captain America: Civil War in theaters. To sum it up, he loved it, giving it five stars, and goes as far as to say it ranks with the best comic book movies ever made. It’s high praise from a dude who doesn’t take such things lightly. The film pits the Avengers against themselves in a moral and physical battle over the role of superheroes in the modern world, bringing back some old favorites while adding new faces as well. It’s sitting at 94% on the Tomatometer as we speak, with nearly universal praise from critics. Marvel’s always had a solid handle on their path with the Avengers franchise and how to navigate the MCU writ large. 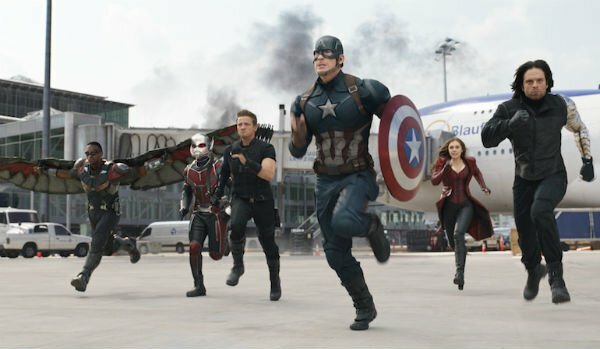 Captain America: Civil War looks like further proof of such. Now let’s get out to the theaters. Where do you think Captain America: Civil War will land on the Tomatometer? Ooh, baby. I was three-for-three last week in one of my best showings. For starters, Keanu (Predicted: 68% Actual: 75%) finished right in range, and this received a solid score for a comedy. This genre can struggle with critics because it needs to hit on all cylinders for a score this high. Niche comedies (especially shoot’em ups about two dudes rescuing a cat) don’t typically have enough range to grab critical love. They’ll end up as cult favorites (at best), appealing to a certain mindset and that’s it. But Key and Peele have proven they can take the absurd, make it sublime and leave every laughing. Looks like they pulled it off on the big screen. Meanwhile, Mother’s Day (Predicted: 13% Actual: 9%) sucked. Thank goodness. I would have really questioned my understanding of the Tomatometer and critics as a whole if this hadn’t finished in the basement. This is Garry Marshall’s MO now, putting out holiday-related movies with insane Hollywood casts that critics hate. He did it with New Year’s Eve (7%) and Valentine’s Day (18%), and I’m sure he’ll do it again with like Arbor Day or something. And finally, Ratchet & Clank (Predicted: 26% Actual: 20%) was another win for me, but a loss for the movie. Surprisingly (at least for me), I caught a little flack in the comments section about my prediction for this film. Apparently there are a few more Ratchet & Clank fans out there than I realized, or at least more than I thought would come to the defense of the movie version. But the trailer told a tale of stale jokes and cartoonishness for cartoon’s sake. Critics agreed, and I wound up with a perfect score. Next time around we’ve got a big one with Darkness and Money Monster. It’s gonna be a Rotten Week!